Your Face and Body, Redefined. At Criswell & Criswell, our surgeons have garnered a reputation for excellence in the art of delivering some of the best plastic surgery Charlotte has to offer. The patient experience matters to us, and our procedures are performed in a luxurious, comfortable, discreet environment, where we offer a range of advanced surgical and non-surgical treatments. We enhance, restore, and rejuvenate face and body and increase self-esteem, empowering our patients and improving their quality of life. We offer state-of-the-art facial surgeries, body sculpting, and anti-aging treatments that truly restore a fresher, more youthful look. 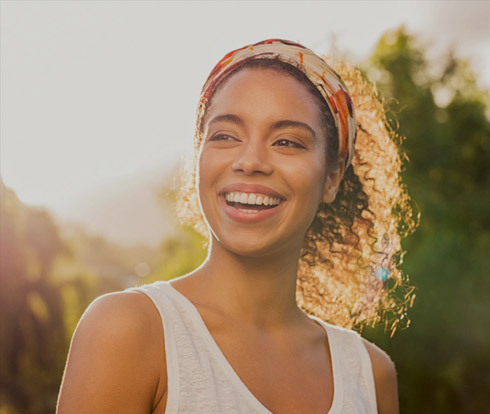 We invite you to experience our warm, welcoming atmosphere, our friendly caring staff, and our talented surgeons and estheticians who consistently produce beautiful, natural-looking results. Dr. Kara Criswell is an accomplished, board-certified plastic surgeon with a rare level of artistry in plastic surgery. She is a leader in the Charlotte community, and serves as Chairman of the Department of Plastic Surgery at Presbyterian Hospital – a testament to her dedication, high-level skills, and the respect she has achieved in the medical community. Beyond her professional skills, she has a warm, caring approach, and works one-on-one with each patient to understand their personal goals and craft a customized treatment plan that will produce natural-looking, remarkably attractive results. Dr. Bryan Criswell has gained a reputation for excellence and for his gentle, caring approach with his patients. Each person has a vision of what they want to achieve with a surgical enhancement, and your treatment plan will be carefully crafted so your vision becomes reality. He performs a full range of plastic surgery procedures, as well as the most advanced, non-invasive, non-surgical enhancements for face and body. Behind every accomplished plastic surgeon is an eye for balance, beauty, and artistry, and Dr. Criswell not only has an artist’s hands, he deeply cares about his patients and is known for his ability to produce beautiful, natural-looking results. I never want to use another plastic surgeon. These guys are simply amazing. Modern technology makes it possible to restore, reshape, and alter the face and body to be more appealing, youthful, and attractive. Our Charlotte surgery center offers the most advanced surgical and non-surgical treatments for face and body enhancement. Our clinic is state-of-the-art, accredited, and built around serving our patients and ensuring they have a positive experience at every step. Expect concierge-style service and a compassionate, caring environment that provides the ultimate in comfort, safety, and where our focus is on creating the look you envision. Visit our Southpark or Ballantyne office and meet with us to experience the difference. It is a big decision to consider undergoing plastic surgery. Our patients choose Criswell & Criswell because we adhere to the strictest standards in patient safety and health, and because they know that our skills lie in the ability to achieve a fresh, natural look. It takes deep experience, artistry, and surgical skills above the ordinary to produce an outcome that enhances your natural features and body. We use the best techniques and technologies available in the United States, and employ advanced surgical and non-surgical procedures to help our patients achieve their personal cosmetic goals. Learn more about arguably the top plastic surgery Charlotte has available. Our surgical center was established to provide patients with the most positive experience possible. Every member of our talented team genuinely cares and serves with warmth, compassion, artistry, along with the highest level of professional skills. Our patients come to us to restore, rejuvenate, and enhance their face or body, and we take our responsibility seriously. Expect a VIP experience and a treatment that is geared to produce an outcome that brings you joy, confidence, and improves your appearance -- and transforms your life. Ready to bring on the glow? Our Medspa offers a full range of non-surgical treatments to maintain, protect, and restore face and body. Caring for your skin and correcting cosmetic flaws can be achieved without surgery in many cases. We have gathered together the most effective treatments available to benefit our clients. From peels to facials, laser hair removal, and deeper, more comprehensive restorative treatments, we do it all – for you. It starts with a thorough evaluation of your complexion. Our estheticians are talented, warm, and highly-skilled in the art of skincare and the most effective anti-aging treatments.